Apple released the latest update to iOS with iOS 7.1.2 with an aim to fix some minor issues with iOS 7.1.1. Reportedly, iOS 7.1.2 release isn’t going as smoothly as expected for some of the iOS users. 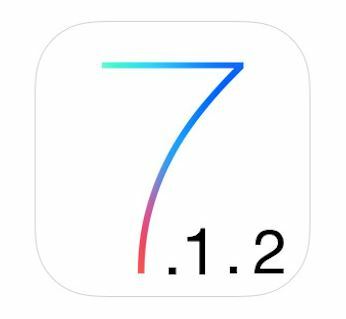 After updating to the latest OS, many users are reporting facing iOS 7.1.2 issues pertaining to update getting frozen in the way through. Here is a quick tip on how to fix iOS 7.1.2 issues. Users trying to update to iOS 7.1.2 are reporting experiencing frozen updates half way through the process. Waiting doesn’t evidently do any charms too and users are left staring at their screens. Once you start the Software Update from Settings, the update can go into a frozen state. However, there is a very simple fix. If you too have experienced this iOS 7.1.2 issue of freezing update, you can fix it with a hard reboot if your update stalls. When your update gets stuck, hold down the Home + Power key combination for a few seconds to send your iOS device into a hard reboot. Don’t leave the two buttons until you see the screen going dark and then you will see the Apple logo appearing. This hard reboot should complete installing the iOS 7.1.2 update. You can make sure that your iOS device is successfully updated from Settings > General > About to see if you are on iOS 7.1.2. In case not, go through the process again. Motorola Moto 360 – The Most Beautifully Designed Smartwatch Yet! iOS 7.1.1 Jailbreak Solution Publicly Released – So Far Proving to be Legitimate! No More Gorilla Glass – Apple has Plenty of Sapphire to Manufacture iPhone 6 Variants and iWatch!